Product information "Double Bar Boucle Silk Tie - Navy - Handrolled"
Green repp tie with white double bar stripe. A design as simple as it is beautiful. Works just as well with our navy / white III barathea braces and oxford button down shirt, white geometrical wool / silk pocket square. 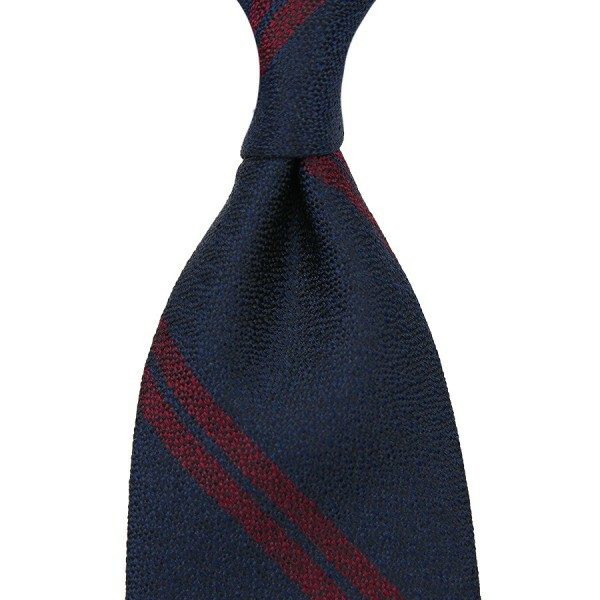 Related links to "Double Bar Boucle Silk Tie - Navy - Handrolled"